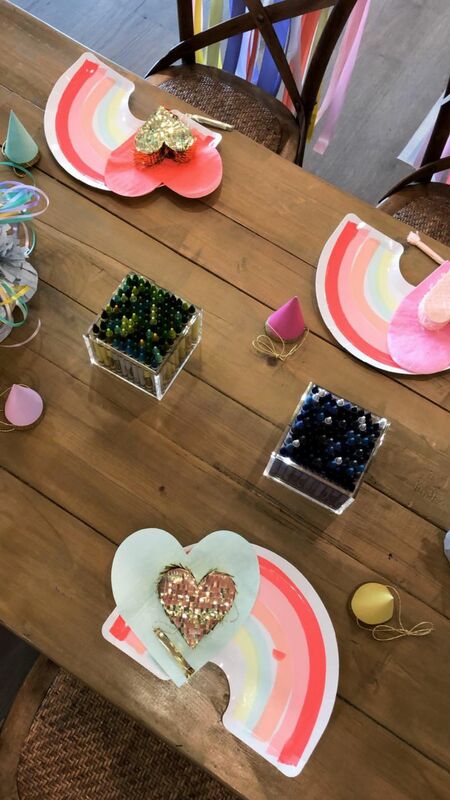 Apparently Kylie and Travis had planned an even bigger birthday bash for their baby girl, but rain made it a wash-out. 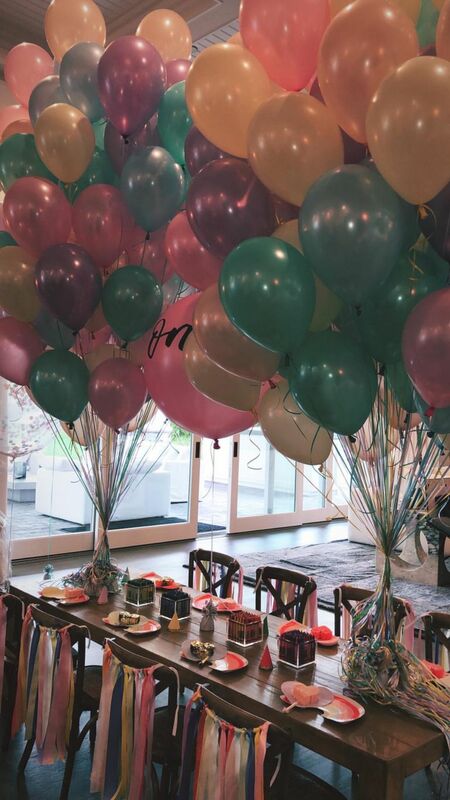 They went ahead with a much smaller family party and not gonna lie, it still looks kinda … BIG! The party was rainbow themed, with tons of balloons and other multicoloured prettiness. 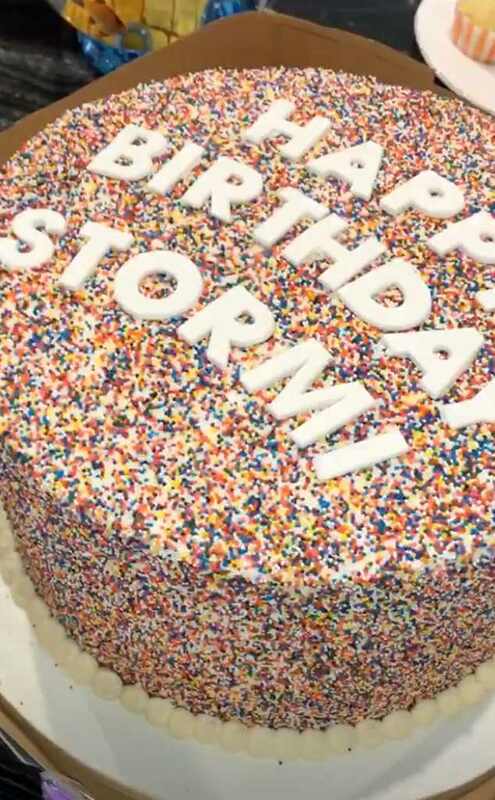 Stormi had a sprinkle-covered rainbow cake, cute craft activities and lots of special people on hand to celebrate with her. On Instagram, Kylie said that “all her cousins, everybody who loves her is here” and told followers they were going to play with farm animals. 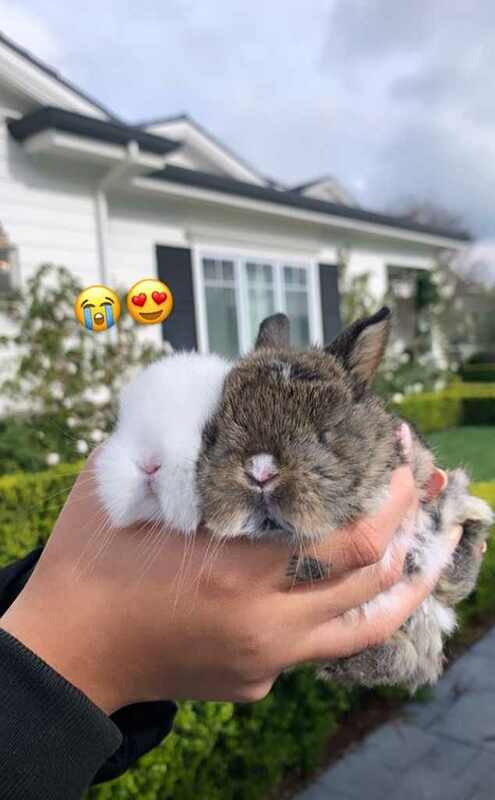 Kylie’s bestie Jordyn Woods later shared the cutest shot of said “farm animals” – two rabbits – proving that the farm was possibly a rabbit farm and who even knew?! 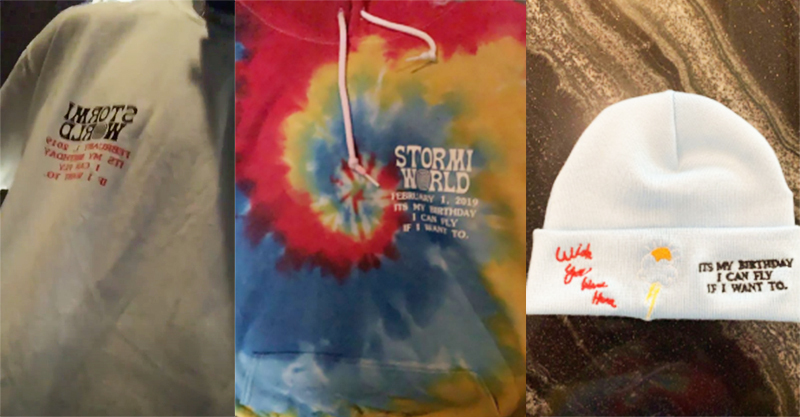 Stormi’s dad, rapper Travis Scott, created tour merchandise for his daughter’s party, riffing off his own hit album Astroworld to come up with the StormiWorld sweatshirts and beanies. Kylie’s been open about just how besotted she is with the little girl whose birth took the world by surprise. 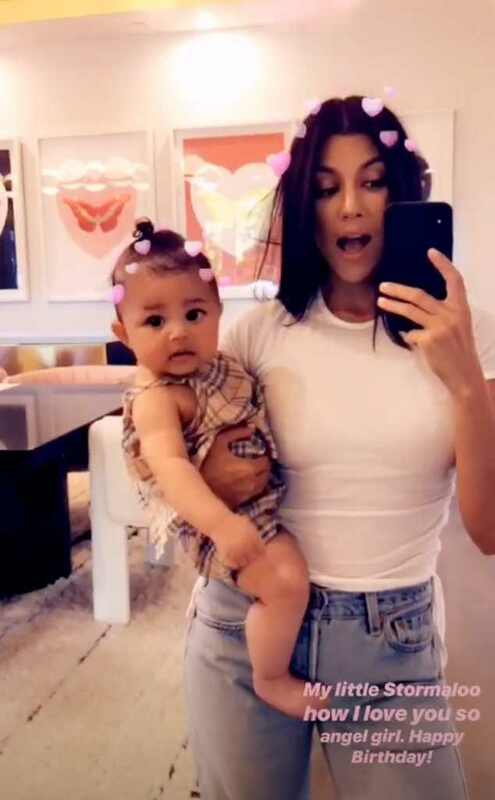 She seems to have had a pretty brilliant first year with young Stormi, so much so that stories began popping up online warning of the dangers of idealising being a young mum. It has to be said that Kylie’s privileged situation does mean that she’s supported beautifully as she learns to be a parent. But even non-famous young mums without one billion dollars in the bank can do a fabulous job of parenting. It’s refreshing to see a more positive representation of having babies earlier in adulthood, instead of the usual ‘teen mum’ type judgement.